95-301-177. 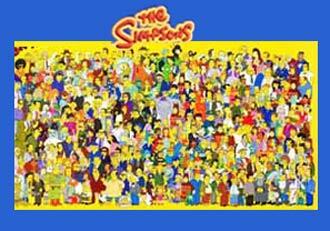 Over 150 of the favorite Simpsons cartoon characters. The image are printed on a fade resistant vinyl transfer. Fabric is 100% cotton, royal blue. Only sizes Small and Large left in stock. Over 150 of the Simpsons cartoon character images depicted on this terrific Simpsons t-shirt. The image are printed on a fade resistant vinyl transfer. The shirt is royal blue pre-shrunk 100% cotton.